Now that we have been treated with the iPhone 5s and iPhone 5c variants, the focus clearly has shifted to the new iPad devices coming our way. Fortunately, the big occasion is just round the corner with those privy to the matter claiming the launch event is planned on the 22nd of October. That is about a week off than the earlier rumor which had pegged the launch schedule on 15th October. However, it’s not clear where exactly the event would be held though that apart, what is almost a surety is that there will be both the iPad 5 as well as the iPad Mini 2 that will be launched. The new Mac Pro 2013 will also be unveiled during the same event, along with OS X codenamed Mavericks. 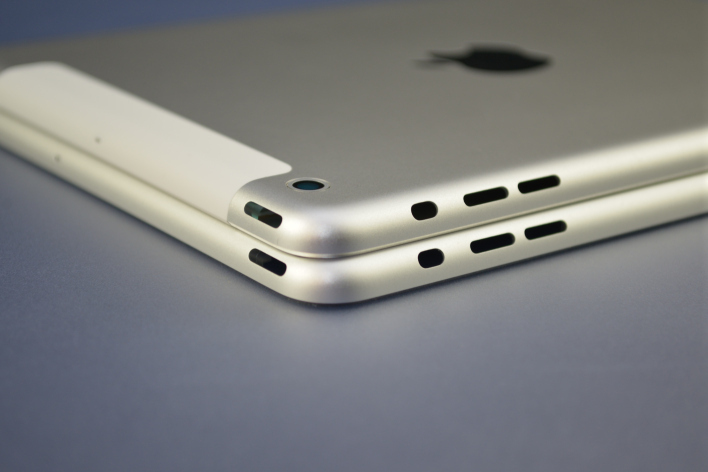 The iPad 5 is expected to come with the biggest design change since it came into being nearly three years ago. The tablet will incorporate thinner bezels along the sides which makes it similar to its smaller brethren, the iPad Mini. This has made it seem to be a wee bit smaller than the present gen iPad though the display will still be of 9.7 inches. The new full sized iPad will also be thinner and lighter than its predecessor while incorporating some new changes in its interior as well. This includes a better and more capable camera as well as the 64 bit A7 chip that is sure to open up a new dimension as far as processing in a tablet device is concerned. However, with things being pretty much certain with the new iPad 5, its smaller cousin, the iPad Mini 2 continues to be dogged with controversies. The latest on this claim the smaller tablet might not be ready for launch before mid-November. Also, even if it is indeed launched, there might not be enough of it to satiate the holiday shopper’s craze. The issue that sources pointed out is not with the incorporation of a high resolution display but with the fingerprint sensor that Apple wishes to include within the home button. In any case, it will be hard to believe Apple won’t have on offer a new iPad Mini variant during the shopping season. The smaller 8.9 inch sized device has been Apple’s bestseller in the tablet segment ever since its launch and the Cupertino company will lose out millions if it does not have enough of the device during launch. Another story doing the rounds is that the iPad Mini will be available in some exciting colors options such as the space gray, silver as well as the much sought after gold color. In any case, it will be interesting to see how the two iPad variants fare with the full sized iPad too incorporating design cues of the iPad Mini.